4. Global citizenship in the health service should result in a clearer support of responsible international volunteering which is mutually beneficial to the Scottish NHS and partner systems overseas. ‘Merciful like the Father’ – Talks on the theme of Mercy for Healthcare Workers in the Year of Mercy. See below to download our Flyer. 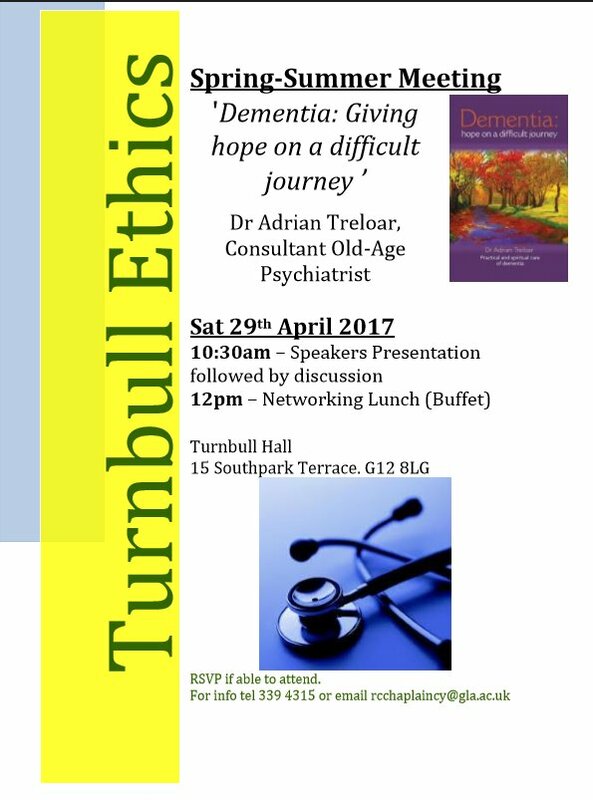 The Turnbull Ethics Group Spring/Summer meeting will be held on 18 June 2016 at 10.30 am. See document below for further details. 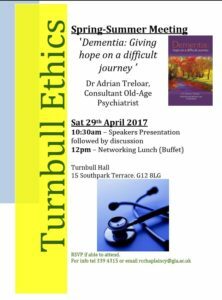 For preparation and catering purposes we would be grateful, if you are attending, to let us know by the end of May. 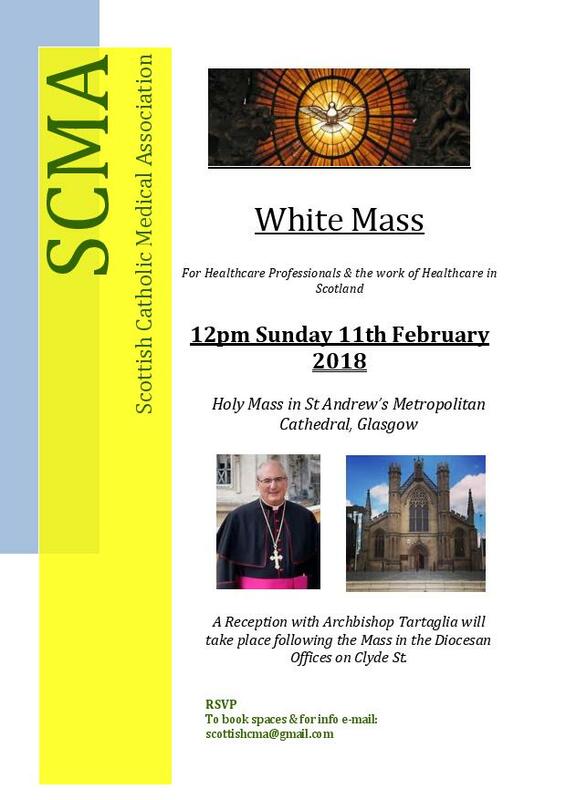 The annual White Mass for all doctors, nurses and health practitioners will be held in Paisley at St Mirin`s Cathedral on Sunday 7th February 2016 at the 12 noon Service and will be led by Bishop John Keenan.